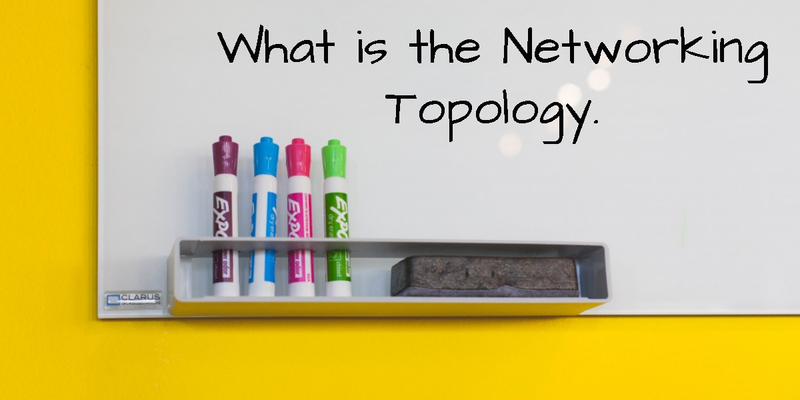 What is the Networking Topology. 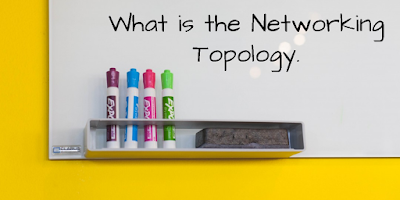 The way in which the computer is connected with each others is called Topology of network.Ti is a method to design a network is called Topology. Each Topology is suited to specific tasks and has its own advantages and disadvantage. I will also show you advantage or disadvantage of typologies. 1. Point to Point:- In this type of connectivity only two two device are connected with each other. 2. Multi Point :- In this type of connectivity many devices are connected with each other. 1. BUS TOPOLOGY :- Bus Topology is a simplest physical topology. A bus topology consists of single cable that runs to every work station. In this method when one computer send the information(Signal up & down) to the another computer through wire, all the computer on the network receive the information but only one (The one with the address that matches second computer) accept the information. Only one computer at a time can send a massage . when one computer can be significantly affect the speed of the network. when one computer sending information wait all another computer but this time is vary less that is why the user cannot relies it.Another important issue on that network is termination. In bus network information can be travel the entire length of cable. So the termination are used at the end of the cable. Advantage of Bus Topology :- . This bus is simple very small network and easy to use easy to understand. It is easy to extend a bus.two cable is joint in to one longer cable and allowing more to join the network.Its easy to install. Disadvantage of bus topology :- Problem finding is difficult AND difficult to troubleshooting. Each barrel connection weakness the electrical signal. 2. STAR Topology :- In a star Topology all computer are connected with a central device just like hub, switch .a cable is run from each computer to the hub/switch. In this topology when a computer sends data, the data will be transmit to all computer connection through hubs. The method of data transmission in this topology are broad casting UTP cable are use in this topology and rj45 connection are used. star topology is more expensive because its need more cable means each cable for each pc. Advantage of star Topology :- Star Topology is easy to expend and its vary easy to troubleshoot. Its easy to add new computer on star topology .You simply run a new line from the computer to the central located and plus to the HUB or switch. If in this topology a single computer is dose not work your full network is working properly. Disadvantage OF STAR Topology :- If the central device hub or switch is fail to work your all network is fail to work . In this topology required more cables its is more cost. 3. RING TOPOLOGY :- In this topology every computer is connected to the next computer in the ring. The massage flow around the ring in one direction each computer re-transmits what is receives. A ring is an active network and it is not subjected to the signal loss problem a bus experiences there is no transmission because there is no end to the ring. Advantage of Star Topology :- It use less amount of cable for network, because every computer is given equal access to the taken no one computer can monopolize the network. Disadvantage of Ring Topology :- Failure of one computer on the ring con-effect the whole network . It is difficult to troubleshoot a ring topology. If we add or remove computer in ring topology it is disturb to all network in this Topology. 4. TREE TOPOLOGY :- In this Topology Multi pal star network are connected according to the star topology. all devices are connected with center lies device like hub or switch. 5 MESH TOPOLOGY :- In the Mesh Topology each device has point to point connected to every device on the network.In this topology each device is connected to every other computer. In this topology any device can send data to ant device into a network data send by the device can take any possible path to reach the destination . Disadvantage of this topology its required more cables so its too expensive. 6. HYBRID TOPOLOGY :- This Topology is a communication of different network topology . It is also known as spacial topology. The start bus Topology is the most used by hybrid topology in an organization.